Greetings to students and parents! The end of the school year is now just around the corner! It's not long before you begin your well-earned long summer Vacation. But before that you have your FINAL Examination to complete. To make studies easier there are a few things you can do. Ask the teacher - clear your doubts. Always plan your revision and put subjects you are weak in, first. Practice always makes perfect - so Just DO IT! Remember the object of studying is to get a good education, not to just pass examinations. Do not let stress overtake you - use it, however, to get off the couch and pursue your goals! Always push forward and DON'T WORRY. Take the time to cherish the achievements you have accomplished this academic year. The school year has been a busy and fruitful one with students gaining knowledge, participating in school activities and bringing laurels to themselves and their school. We have much to be proud of. 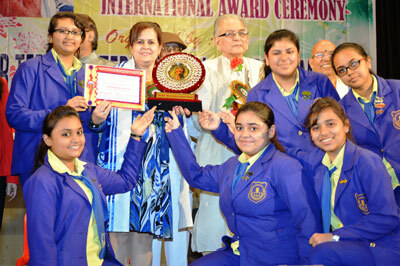 Winning the Mother Teresa International Award for Best School 2015 is indeed a feather in our cap. Our goal now is to keep trying to attain more excellence! 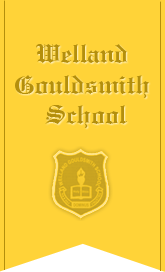 I want to thank parents, students and well-wishers for the support in making the Welland Gouldsmith School at B B Ganguly Street an Institution of repute. By God's grace may we continue to surge ahead. I wish you all the best for the upcoming examination period and for the excitement and adventure that awaits you in the months and years to come.